To take advantage of current consumer trends in the Philippines, PLDT Inc., one of the largest telecommunications companies in the country, reported that it will continue an ongoing upgrade of its internet services and coverage. This, at least, was among the announcements made by the firm last Monday when it the released reports documenting its financial and operating performance for the first three quarters of 2016. 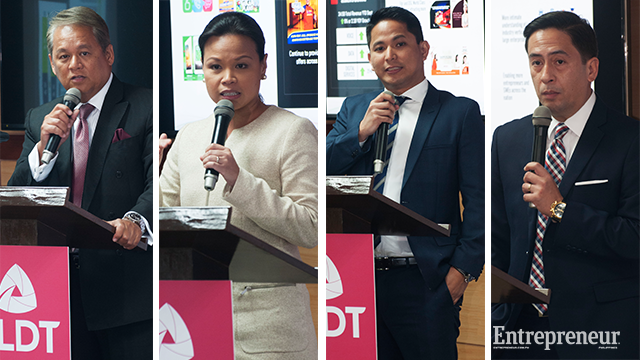 Speaking before the press at the Ramon Cojuangco Building in Makati, Manuel V. Pangilian, CEO and chairman of PLDT and Smart Communications, said that the company’s recently released results reflect a continuing shift that sees customers preferring data provision over voice and SMS services. With the results adversely impacting the company’s wireless revenues, Pangilinan stated that they are now focused on plans that seek to leverage the ongoing trend. In a report published by the company, it was revealed that the first three quarters of 2016 saw PLDT’s consolidated revenues reaching Php 125.4 billion, a 2 percent decline compared to the same period last year. It also showed changes to the company’s service revenue mix; data, broadband and digital services and platforms set the pace for growth during the period by posting service revenues at Php 44.6 billion. This is a 19 percent increase compared to the previous year. These results also raised its share of total service revenues to 40 percent (up from 33 percent last year). Meanwhile, the share of SMS, domestic voice and others declined to 50 from 56 percent last year. In light of these results, the company is currently gearing up to maximize the growing demand for data. It already started doing so during the recent quarter by rolling out enhanced network infrastructure. For instance, Smart completed a great deal of its network improvement activities in Metro Davao. This boosted the coverage as well as the capacity of its mobile network (which covers 3G and LTE or 4G wireless data services). According to the company’s report, this was done through projects like the installation of more base station facilities within the integrated networks of Smart and Sun. The company also deployed low-band radio frequencies for use in LTE and 3G. Due to this, Metro Davao saw substantial improvements in the coverage and capacity of the Smart network. Continuing the pace set by these upgrades, PLDT is now implementing Smart network improvement programs in Metro Manila and Metro Cebu. These projects are part of a three-year network deployment plan which PLDT submitted to the National Telecommunications Commission earlier this year. The company didn’t stop there, however. Complementing these efforts to improve its capabilities, PLDT has decided to advance initiatives that would help consumers acquire web-capable devices and leverage service improvements. Through its mobile business, for instance, Smart has signed on partnerships with a number of local and foreign manufacturers to be able to offer a wide variety of LTE smartphones including the recently released iPhone 7. Meanwhile, PLDT Home is moving to enhance its suite data plans through the introduction of affordable “yet powerful” packages; these include Plan 1899 for the Home Fibr service which promises speeds of up to 50 Mbps. There’s also the PLDT Enterprise Business Group which recently debuted new services including the SmartBus (which help public transport companies track the movement of their bus units). 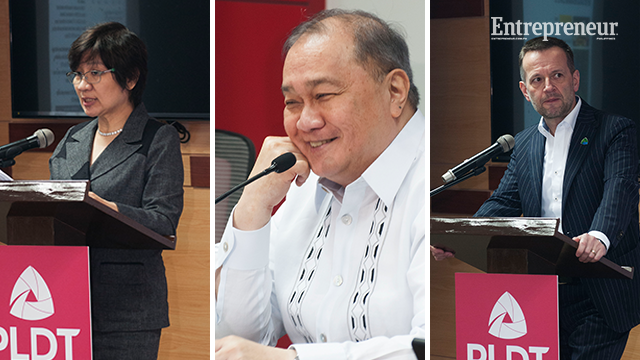 Summarizing the company’s performance during the first three quarters of 2016, Pangilinan admitted that PLDT has been through a “particularly challenging year” citing intense price competition, as well as the continuing shift from voice and SMS services, as some of the reasons behind the results. This said, Pangilinan stressed the importance of making their “digital” plans a reality.